We don't blame you if you took a look at this headline and were like, "What is it, 1995?? 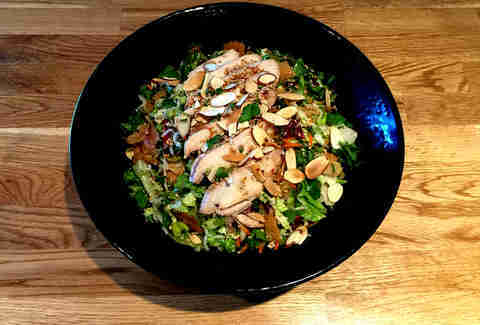 The best Chinese chicken salads???" 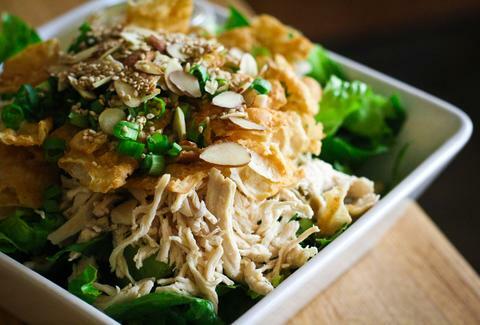 But listen, bitter and not-fun-at-all old man: Chinese chicken salads are still the best in the LA salad kingdom. They are large, they are full of crunchies, they have dressings that are sweet and salty and sour, and they sometimes are even healthy, because sometimes they have little orange slices in them. That makes them healthy, believe us. 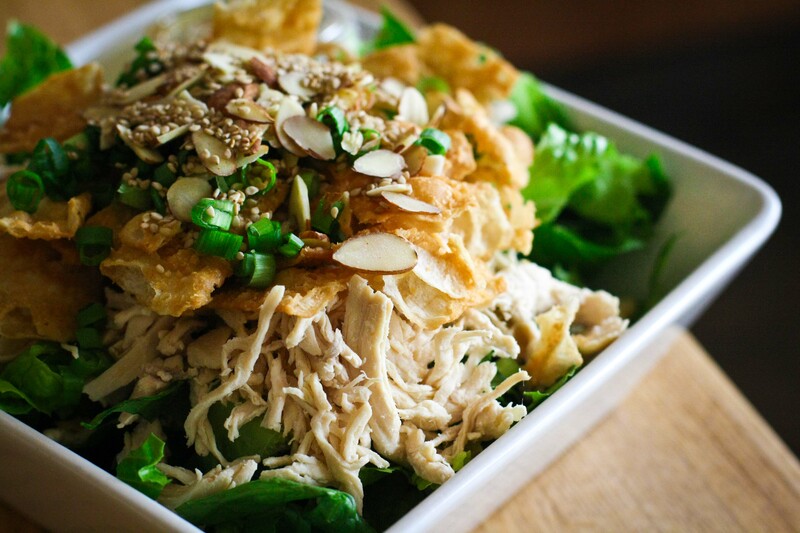 So yes, we're serious, and this is where you can find the best Chinese chicken salads in LA. Like we could get away with not including Feast from the East on this list, but it's totally deserving: the dressing is so legendary the resto bottles and sells it, the crunchies are crisp and not greasy, and, these days, it's even being delivered through UberEATS, which means you barely need to leave your couch to get one. It's like magic. 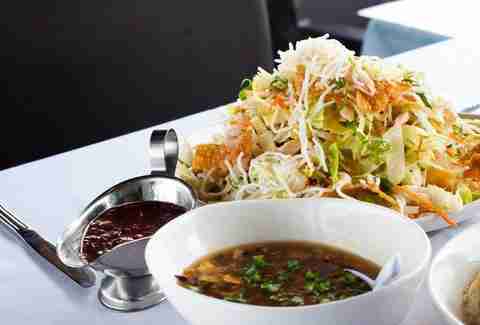 If you grew up in the Valley and didn't eat this ginger-heavy, totally Americanized "Chinese" salad, SHAME. SHAME. SHAME. The good thing is you can also get it on Sunset or at any of the other Chin Chins, and the great thing is that it has not only one, but two kinds of crunchies: the classic fried wontons, and these white stringy kinds that get spongey when they're covered with dressing. And you should always cover them with dressing. The burger chain with the unlimited French fries? Are we crazy? Nope. We are not. The dressing is smooth, and creamy, and sesame-ish, and brilliant, and there are snow peas in the salad. We are not crazy. We promise. 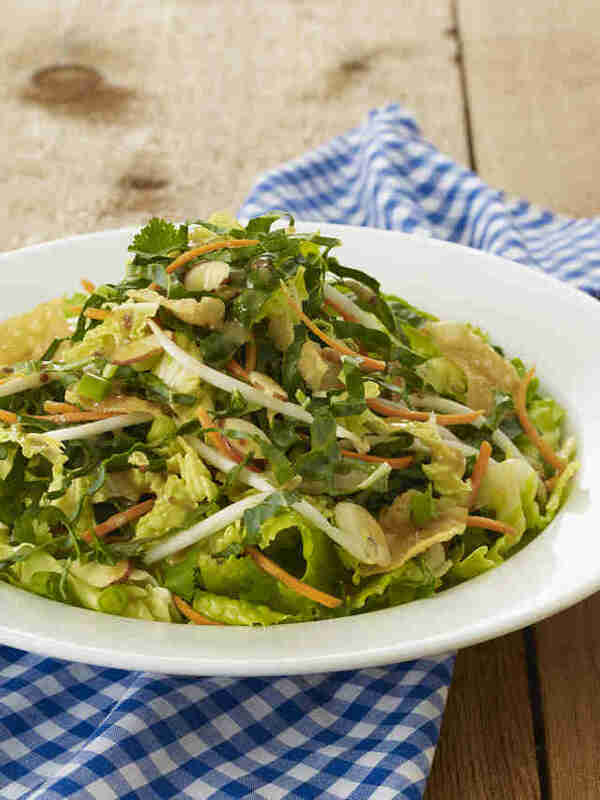 This salad started as a limited-time run and then popularity insisted that it make the permanent menu. It has chives, which are good, and a slightly sweet dressing, which is great, and it comes with a tortilla, which means it's also kind of a wrap, which is excellent and lets us pretend we're not eating a salad when we're really tired of the pretend-health move. The corporate HQ of this mini-chain clearly had a conversation at some point that went like this: "Well, we'd love to have a Chinese chicken salad, but we don't have anywhere to make those crispies. What if we substituted those noodles that you get for free at old-school Chinese restaurants before dinner to dip in mustard, and then also put in some fresh noodles?" And the other guy was like: "YES, GREAT IDEA, LET'S ADD MANDARIN ORANGES." Then they served it with pita bread you can use as a delivery mechanism, and you were so happy. The punny Century/Studio City mini-chain's salad has great depth of flavor, thanks to Napa cabbage, radicchio, pickled carrots, and fresh almonds -- and that's before adding the dressing. This mini-chain of Chinese restaurants claims to have invented the Chinese chicken salad, which is enviable in and of itself; its version is mild and delicious and -- pro tip -- better if you mix in a bit of spicy mustard and soy sauce. While we desperately miss Solley's, whose dressing was sweeter and thicker than most, we have solace in every other Jewish deli in LA, which, for some reason, all serve amazing Chinese chicken salads: Jerry's is huge and covered in mandarins, Canter's is, uh, huge and covered in mandarins, and... you get it. Add a side order of a half pastrami sandwich. Obviously. 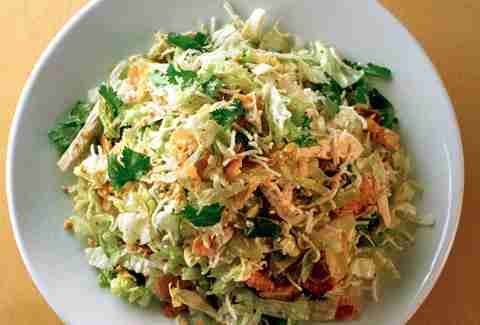 Jeff Miller would like to split his Chinese chicken salad with you. Hit him at @jeffmillerla on Instagram or @ThrillistLA on Twitter.